Well, it seems as though I am finally getting around to editing some of our travel photos of New Orleans. 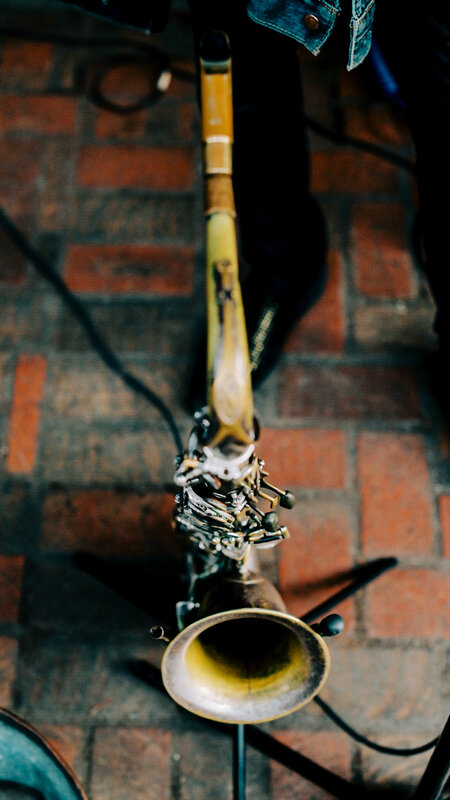 Last year, I had the amazing opportunity to fly to New Orleans to photograph a destination wedding. It was one of the most fantastic experiences that fed my creative soul. 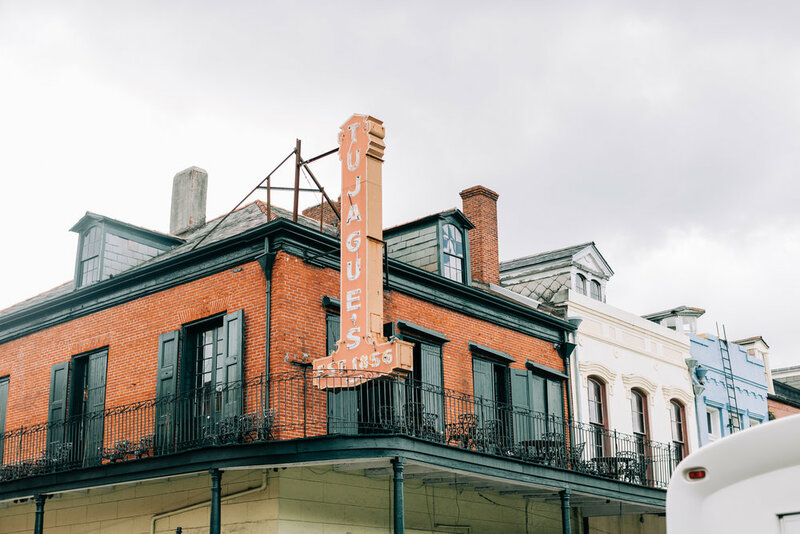 Both Nick and I had never been to NOLA so we were so excited at the chance not only to photograph a gorgeous wedding there but also to experience the amazing culture, food, music, and history there. We flew out at the end of March last year, photographed the wedding, and stayed a few extra days to check out the scene. 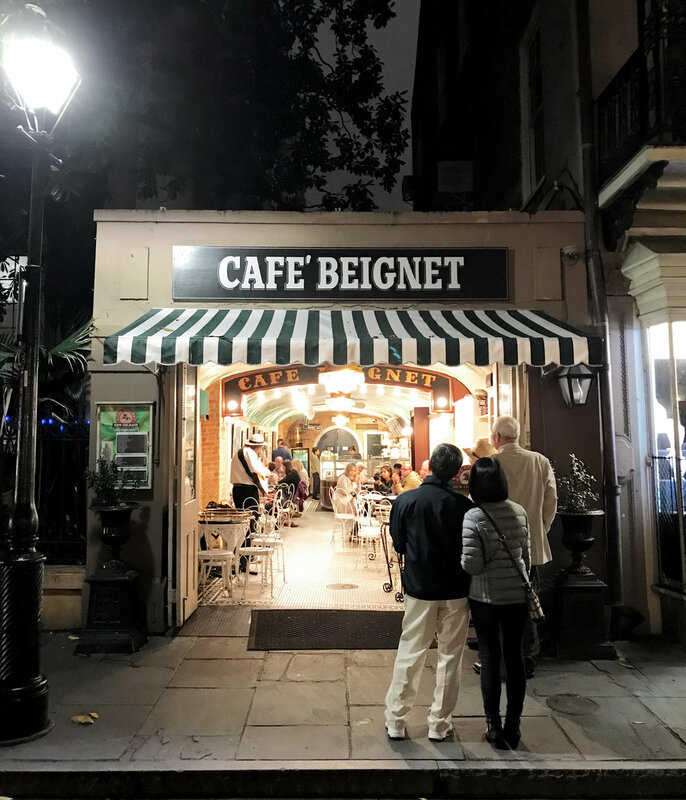 We spent a lot of time walking up and down Bourbon Street, eating our way through the city, chomping on fried alligator, oysters, and sugary beignets. Live musicians lined every corner, drawing us in with their sick beats and creative lyrics. They were some of the most musically rich, talented artists I have ever heard. 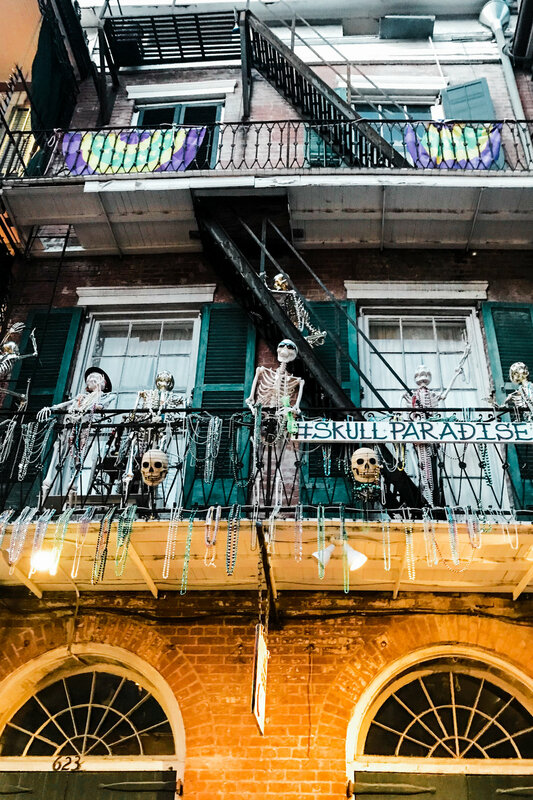 There were ghost tours on every street, hurricane cocktails, colorful masks, beads everywhere, amazing food, and so much more! The city with such amazing rich history did not disappoint. 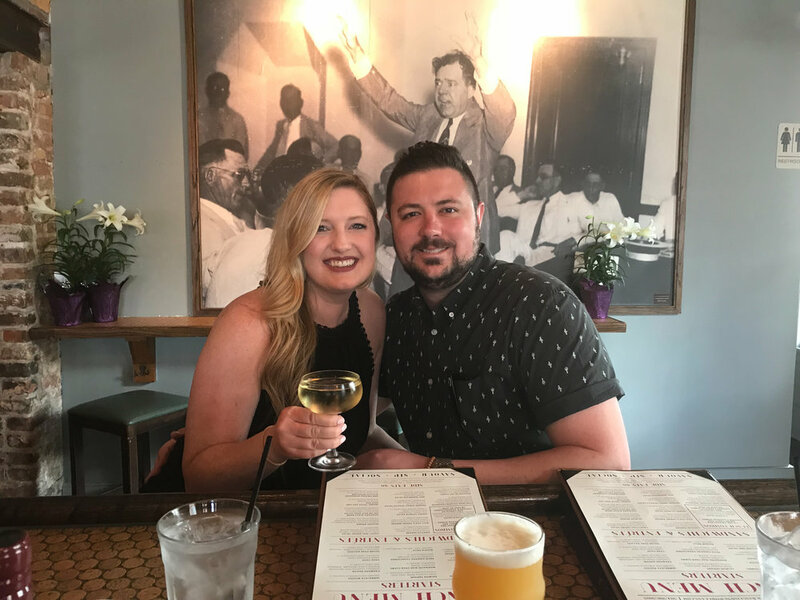 We grabbed slices of pizza, visited the famous Pat O’Briens, went to this carousel bar that spins slowly while you sip cocktails. Nick and I spent our Easter Sunday at the Gospel Brunch at The House of Blues. What a way to praise the Lord! 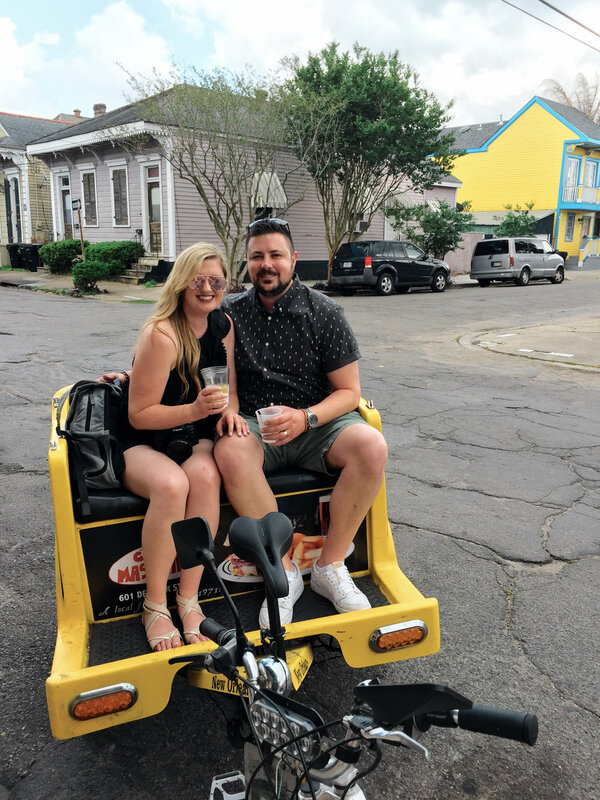 We rented electric bikes and rode through The Garden District, swinging by both houses that were on The Real World. We took one of those tours where someone drives you around via bicycle while you sit in an attached cart behind. What are those called? That was fun. Here is a collection of photos I grabbed on my Canon as well as my iPhone. Enjoy!